Winter holidays are almost here, and there are many reasons to celebrate! Hosting a holiday party is a wonderful way to get your friends and family together for some fun festivities. 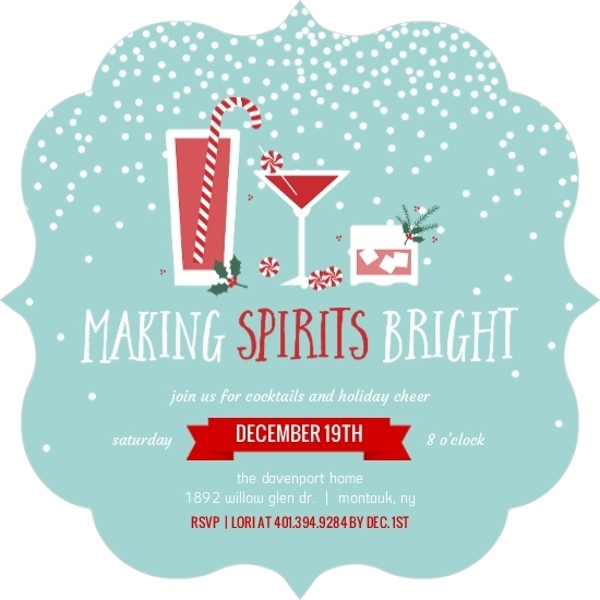 Browse PurpleTrail’s versatile collection of holiday party invitations. Once you’ve found your ideal invite, it’s time to think about the wording. 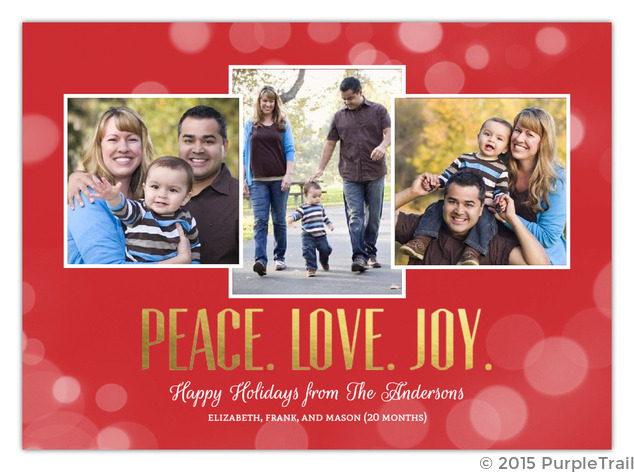 We’ve gathered a group of holiday party invitation wording ideas to help inspire you. Snowfall is in the Air! Let’s get together for some holiday cheer and eats! Please rsvp soon, don’t delay! Let us toast to Christmas and the new year! Let us celebrate the season’s blessings! 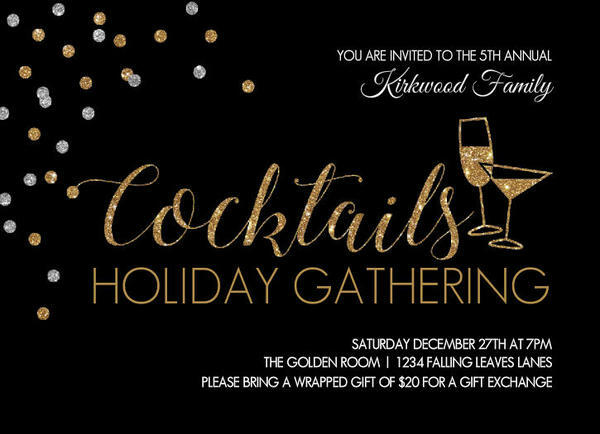 Join us for a holiday party! Gather all your friends so dear and join us for some cheer! it’s time for holiday cheer! and gaze upon the Christmas tree! Please be our guest as we celebrate all the wonder and magic of the holiday season! But a cocktail party is most delightful! Will gifts be exchanged? If so, what is the theme or spending limit? Your guests will appreciate receiving as much information as possible. Also, keep in mind that people’s calendars tend to fill up quickly during the holiday season, so send out your party invitations three or four weeks before the big day. We hope these holiday party invitation wording ideas have helped inspire you to create your perfect party invitations. On behalf of the PurpleTrail team, happy holidays!